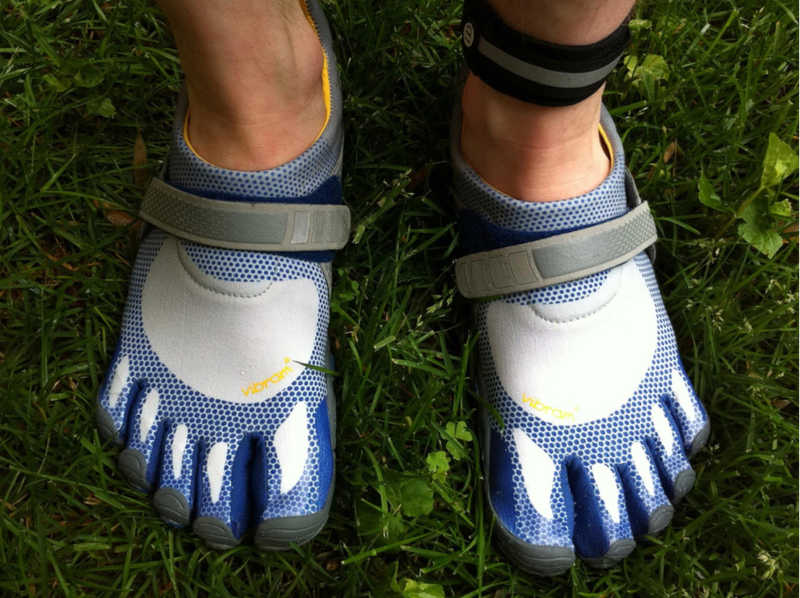 Does “barefoot running” (or wearing minimalist shoes) reduce or increase your risk of injuries? Although, we haven’t done a formal study, we have noticed a definite trend among our patients. Since the advent of the barefoot running or the minimalist shoe trend, we have seen an undeniable increase in the number of patients complaining of heel pain, tendonitis, and other running related injuries. It seems to us that a preponderance of those complaining are converts to the cult of barefoot running. As we all know, correlation and causation and two entirely different things. So what does the research say? Unsurprisingly, the research to date has been sparse and inconclusive (I mean who wants to fund research that puts a pin in a billion dollar health craze balloon?) This well-researched article by Paul Ingraham at painscience.com does a great job of summing up the history and debate, and of assessing the various studies that have been done. What’s the bottom line on barefoot running? The scientific case against barefoot running is slowly being made and we suspect that as more and better research is conducted, that case will only grow stronger. While we don’t have the evidence, yet, to prove it conclusively, what we’ve seen is that the minimalist shoe craze is leading to injuries, especially for those people who are using them for the wrong activities and without proper instruction. If injury prevention is your goal, and you are not an experienced runner in good health, then we advise against minimalist shoes. If you are convinced of its benefits and are feeling compelled to give it a try, we strongly suggest that to avoid injury, you take it slowly and move very gradually towards less support, lift and cushioning. If your feet are giving you trouble, whether because of running barefoot or otherwise, contact us today for a consultation at our new Vancouver Podiatry clinic in Kerrisdale. No referral is necessary. Your feet will thanks us! –Dr. Roy Mathews DPM and Dr. Victor Quintoro DPM, Vancouver Podiatrists.